Ala Younis, Plan for Greater Baghdad, 2015. Installation view at the 56th Venice Biennale. Photo by Alessandra Chemollo. Courtesy la Biennale di Venezia. A solo exhibition by Ala Younis including a newly commisioned work, held simultaneously in London and Dubai. Delfina Foundation and Art Jameel collaborate to present Plan for Feminist Greater Baghdad, a solo exhibition by Ala Younis held simultaneously in London and Dubai. The exhibition includes a major new installation co-commissioned by the two organisations, Plan (fem.) for Greater Baghdad (2018), that builds on Younis’s 2015 work, Plan for Greater Baghdad, which was included in the Central Exhibition of the 56th Venice Biennale curated by Okwui Enwezor, and which will be shown alongside the new commission in the exhibition. In the original work, Plan for Greater Baghdad(2015), Younis looked at monuments, (by) architects, (for) governments, and the short state of empowerment they gained as politics shifted in Iraq. The project anchored itself within the history of a gymnasium in Baghdad that was designed by Le Corbusier and named after Saddam Hussein. Heavily based on archives, found material, and the stories of its male protagonists, the project explored issues relating to the protection of monuments for posterity, and the creation of plans for Baghdad as either an expression of power or as a necessity. In the newly commissioned work, Plan (fem.) for Greater Baghdad (2018), Younis brings to the fore the significant contributions made by female artists, architects and other influential characters to the development of Baghdad and its modern monuments. Typical of Younis’s investigative practice, the work rearticulates archival material to bring about new narratives. In this case, the reading sees beyond the male dominance of the city’s architecture and politics, to reveal the female influence on Baghdad’s history. Among the main female protagonists that inspired this research are Balkis Sharara, Rifat Chadirji’s wife who in 1979 carried copies of his works into and out of Abu Ghraib allowing him to author three of his seminal books while in the prison; artist Nuha al-Radi whose diaries of 1990/91 describe the dynamics in the lives of Baghdad’s people beyond the news coverage; an unknown young woman who stands out in the festivities of the gymnasium’s 1990 new year concert; Fahrelnissa Zeid who was herself an artist (most recently the subject of a major exhibition at Tate Modern) and the wife of the Iraqi Ambassador in London when Le Corbusier received a telegram confirming the approval of his first design proposal for Baghdad; poet Iman Mersal who paid a solidarity visit to Baghdad under siege in 1993; Zaha Hadid whose architectural drawings influenced the imagination of architectural students in the 1990s; and others. 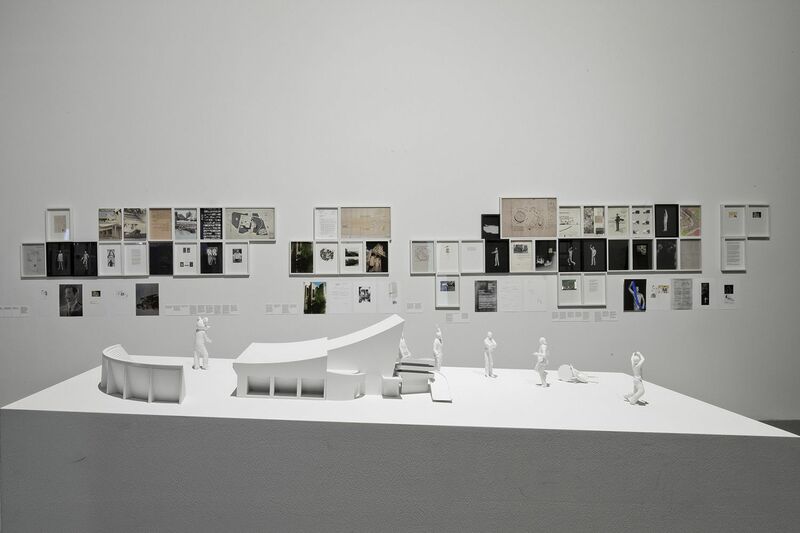 Through found materials, documents and oral histories, these stories are presented in the exhibition through a timeline punctuated with inkjet prints and drawings alongside digitally sculptured and 3D-printed models of different figures, which mirror the 2015 male edition of the work. This exhibition marks the first time these two major works are shown together. Ala Younis is a Kuwait-born, Jordan-based artist, writer and curator. Her work has been featured in numerous exhibitions, including solo shows at Darat al Funun, Jordan (2009); Delfina Foundation, London (2010); and MMAG Foundation, Jordan (2017). Selected group shows include CCS Bard Galleries, New York (2017); Akademie der Künste, Berlin (2017); Guggenheim Museum, New York (2016); Venice Biennale (2015); New Museum, New York (2012 and 2014); Arab Museum of Modern Art, Doha (2012); Gwangju Bienniale (2012); Istanbul Biennial (2011); Home Works 5, Beirut (2010); and Photo Cairo 4 (2008). As a curator, Ala Younis organised the first Kuwaiti Pavilion at the 55th Venice Biennale; the Museum of Manufactured Response to Absenceinterventions in Algeria, Kuwait and Ramallah; and other exhibitions and programmes in Egypt, France, Jordan, and UAE. She holds a B.Sc. in Architecture from University of Jordan, and a MRes in Visual Cultures from Goldsmiths College. She is on the Advisory Board of Berlinale’s Forum Expanded, and co-founder of Kayfa ta, a non-profit publishing initiative that has published seven ‘how to’ books since its foundation in 2012.